Drowning in sticky notes? Letting things slip through the cracks? Could you use a copilot? Put all your todos, notes, shopping list, and projects into Copilot. Access it anywhere. 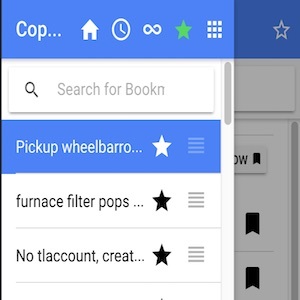 Copilot is a mobile, offline app that syncs your todos to the cloud. Throw away your stickies, prioritize your todos and get stuff done. A View of Carfax's data tailored to insurance companies' claim departments. Carfax provides vehicle history data to a wide range of customers including dealers and car purchasers and sellers. 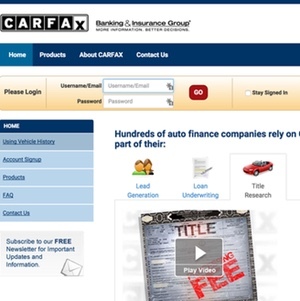 My team recently rewrote the entire Banking and Insurance Group (CarfaxBIG) website. Our team is also responsible for maintaining the entire codebase for the BIG team including a batch processing system, an alerting system, and an xml/json api for customers who want that level of access to our data. 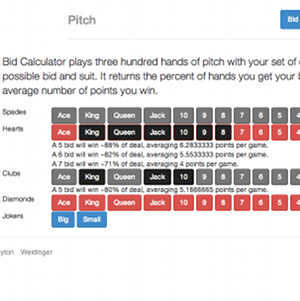 If you play the card game pitch, you can put in your hand and it will calculate the probability that you'll win and the points you'll likely get from bidding a certain amount in a certain suit. Time and Money are scarce resources. We spend them constantly throughout the day. 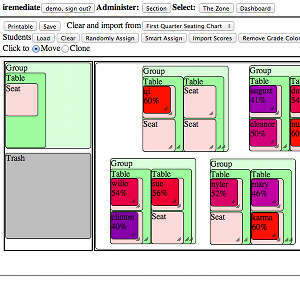 Logger enables us to track and visualize where those resources are spent. Check out the features by using the demo account. As a Physics First teacher from 2011-2014, I recognized the need for targeted, automated practice and feedback for students experiencing difficulties solving freshman physics problems. 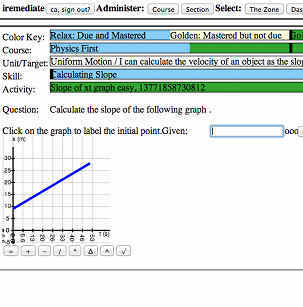 I implemented an digital tutor that enables teachers to input problems as they would a worksheet. Students log in to see unexplored or unmastered skills and the tutor walks them through the practice offering feedback whenever they are stuck or wrong. 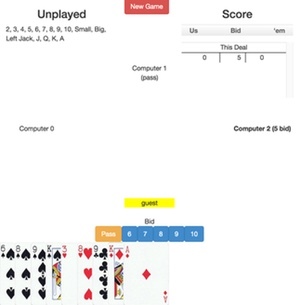 I wrote this webapp so that I could play short handed (less than 4 people) pitch (a card game) with my brother in Kansas City and my other brother in Columbia. It uses websockets to communicate. For the teacher who frequently assigns new seating charts, this app makes the process a breeze. 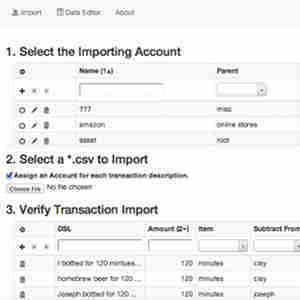 You can import an Infinie Campus Gradebook Export, arrange the virtual room exactly how you have yours arranged, and assign students either randomly or to put your struggling students with your best students. Manual changes are as easy as dragging and dropping. Our family runs a small farm: chickens, cattle, and a large garden. 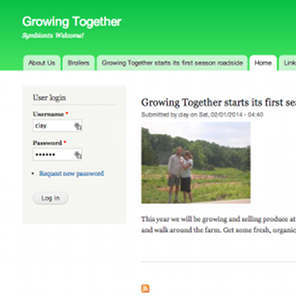 I've started a Drupal where we can share the farm's happenings with our customers and extended family. An implementation of David Allen's Getting Things Done that is easily searchable and prioritizable. This was the first app that I created so I wrote most of it without any libraries. It even directly utilizes XHR for AJAX. How far I've come since April 2013! The short story? I developed accounting and payroll desktop applications for a local software firm for four years before I graduated high school as valedictorian. I earned a BS in Physics, minor in Comp Sci and Math with a 4.0 GPA in three years. I switched gears and earned my BS in Nursing through an accelerated program. I served patients and families as a Trauma/Surgical ICU RN for three years. There I met my wife and we got married! I earned my MS in Science Education while nursing. I spent the next three years teaching Physics First to ninth graders in the public school system. My wife and I had our first child! 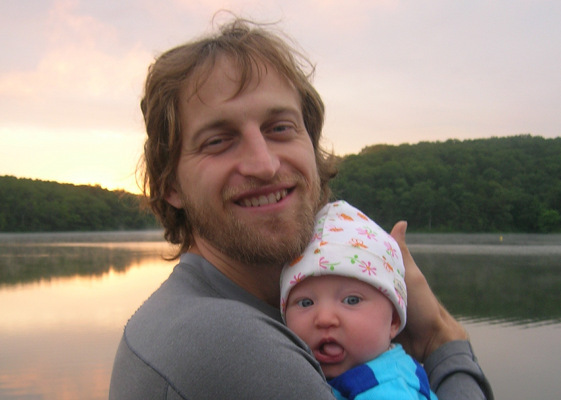 I developed web apps that solve my pain points in managing my students' learning, my farming business, and my personal information and work. Copilot is the only personal project that I continue to develop and support. 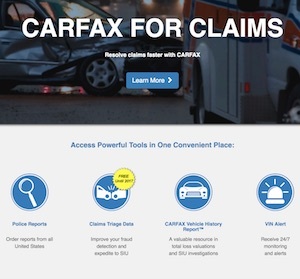 Since mid 2014, I have been developing and maintaining enterprise software products for Carfax. B.S. Physics, University of Missouri, Rolla, MO, May ‘06, GPA 4.0. B.S. Nursing, University of Missouri, Columbia, MO, Aug ‘07, GPA 3.89. Software Developer, Carfax, July 2014—Present. Developing and maintained the CarfaxBig.com and CARFAXForClaims.com websites' front-end and back-end, the socket.carfaxbig.com enterprise integration API, batch job runners, and an alerting system for our information products. Physics First Instructor for 9th Graders, Jefferson City, MO, 2011—2014. Facilitated the empirical development of 70 14-15 year olds daily. Designed and implemented iRemediate.com as a teacher automation solution so that low end students could be tutored 24/7. Trauma/Surgical Intensive Care Unit Registered Nurse (ICU RN), University of Missouri Health Care, Aug 2007—Aug 2010. Nursing responsibilities for two critical patients per twelve hour shift. Assumed charge nurse and preceptor responsibilities in Jan 2009. Physics Research Assistant, University of Missouri–Rolla, Jan—May 2005. Writing, testing and running parallel computer simulations of Quantum Phase Transitions in C++ for a dedicated physics cluster under the tutelage of Dr. Thomas Vojta. Software Developer, The Lemberger Company, May 1998—Aug 2002. Developed enterprise-grade Accounting/Payroll desktop applicaitons for Primary and Secondary Schools in Visual Basic 6 using MS Access database (SQL), ActiveReports, and FlexGrid.